POLICE TAKE YOUR CASH OR PROPERTY WITHOUT CHARGES? Contact our office immediately! State and local police in the United States will no longer be able to use federal laws to justify seizing property without evidence of a crime, U.S. Attorney General Eric Holder said yesterday. The practice of local police taking property, including cash and cars, from people they stop and handing it over to federal authorities became common during the country’s war on drugs in the 1980s. Holder cited "safeguarding civil liberties" as a reason for the change in policy. The order directs federal agencies that have collected property during such seizures in the past to quit participating, unless the items collected could endanger the public, as in the case of firearms. Holder said the ban was the first step in a comprehensive review the Justice Department has launched of the program. Franklin County Prosecutor Ron O’Brien said the decision means police in Ohio are no longer allowed to seize cash unless they have evidence that it is tied to a crime. Ohio law says the cash or property has to be a fruit or tool of an actual crime for police to take it. "That requirement was why often Ohio police agencies submitted the cash through a federal task force and the seizure was ‘adopted’ by the feds, and seized by feds, but shared with the local agency," O’Brien said in an email. Columbus criminal-defense-attorney Byron Potts applauded the decision, recalling a client who had $10,000 taken only because he was passing through town with it. Often, the agency taking the money was a small police department, which could use it to purchase equipment. Often, the person from whom the money was taken was young and poor and didn’t fight it, Potts said. "That was a terrible law," Potts said. "Just because they suspected some criminal activity but they didn’t have any proof, any conviction or anything. $8 million over the past several years. Of that, maybe 8 percent — or about $640,000 — was taken without anyone being charged with a crime connected to the cash, Scott said. "I know we need to apply a little common sense to this," Scott said. There needs to be some indicator, such as cash hidden in a secret compartment on the vehicle or something else that made it suspicious. Typically, money is taken because the person with the cash has a criminal record in drug trafficking or something similar, Scott said. "Usually, there’s drugs related to it." But requiring agencies to show evidence of a crime is the right thing to do, said Sam Shamansky, a Columbus criminal defense lawyer. "It’s certainly a step in the direction of civil rights, for a change, out of this administration," said Shamansky, who said he recently represented two foreign college professors who had around $40,000 seized going through security at Port Columbus. They were never charged with a crime. The Washington Post reported last year that since 2008, the Ohio State Highway Patrol took in $8.4 million in forfeitures and Columbus police took in $5.8 million, ranking first and second in the state. The Franklin County sheriff’s office ranked sixth with $2.6 million. Other area agencies also shared in the cash. Those receiving more than $500,000 were Port Columbus police ($1.5 million), Westerville police ($976,771), the Franklin County prosecutor ($719,650), Upper Arlington police ($718,005) and Gahanna police ($625,000). Some seizures have proved lucrative. 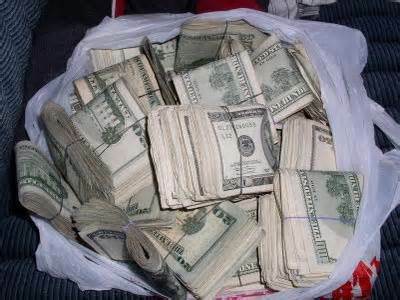 The State Highway Patrol pocketed $1.1 million in 2012 after troopers investigating a traffic crash in 2011 in the Cambridge area discovered nearly $1.3 million in cash in the car trunk of a suspected drug dealer. Although cases of officers seizing cash simply because someone had it have made national headlines, seizures haven’t been limited to cash. They have included cars, boats, planes and real estate.